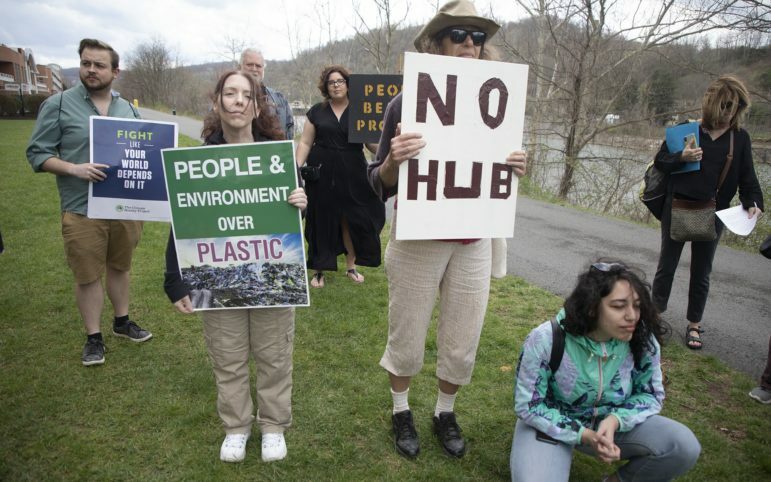 Attendees at an industry conference in West Virginia on Tuesday cheered projections for increased petrochemical production in the next 40 years, while protesters outside held up withered single-use plastic bags to show the environmental harm of petroleum products. Both groups, however, shared a common view that the economic hype and resulting environmental impact predicted for the region may not pan out. It's how they feel about the prospect that diverges. But the mood at the conference was not always celebratory. Several speakers focused on the urgent need to continue to sell the Appalachian region’s potential to the rest of the world. Wally Kandel, the director of Shale Crescent USA, a nonprofit dedicated to promoting business growth through natural gas development in the Ohio River Valley, said the region is still trying to secure four more cracker plants in addition to Shell’s plant in Beaver County. Conference speakers reiterated that increased shale gas production could lead to a set of smaller, downstream facilities in the region. According to Kandel, many of the companies large enough to invest the billions required to build a cracker plant still see Texas and Louisiana as the country’s primary location for billion-dollar petrochemical investments. “The biggest obstacle is we have to educate people at the tops of the company,” he said. Outside the conference hotel, protesters spoke out against industry growth they believe would create increasingly toxic, dirty and unlivable communities that would blight the region. “Inside the Marriott are people who are thinking only about the money and the profits and not giving one minute to what is going to happen to our air and water,” said BJ McManama, a protester and member of the Indigenous Environmental Network. Roughly 50 protesters traveled to Morgantown from across Ohio, West Virginia and Pennsylvania.The conference drew more than 100 attendees. 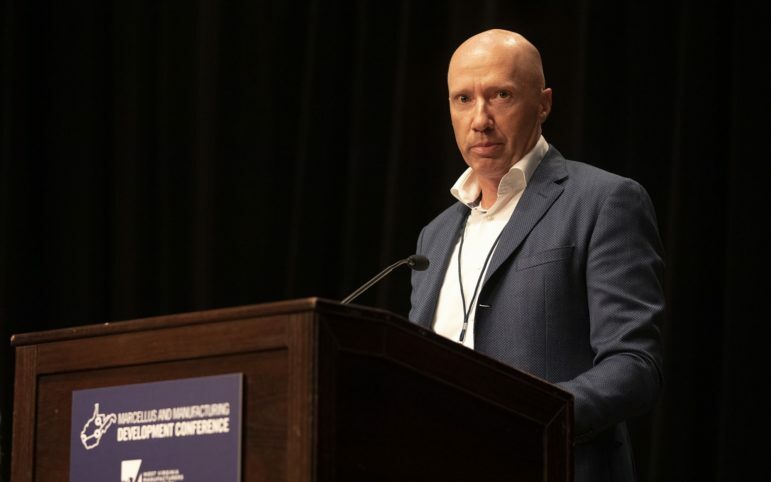 At the conference, Greg Kozera, the director of marketing at Shale Crescent USA, billed the region as a prime location for the industry. He said 70% of the factories in the United States that buy plastic materials are within a day’s drive. 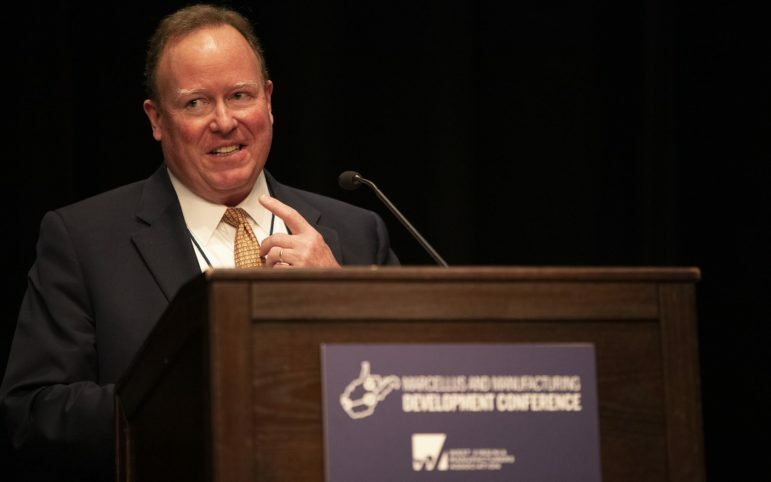 Frank Bakker, the CEO of US Methanol, said he has already begun to move two methanol production plants from Brazil and Slovenia into the Ohio River Valley. Methanol is a chemical made from natural gas. The plant is nearly halfway done, and the company is still deciding on a new location for its Slovenian plant. Each methanol plant creates about 50 permanent jobs and 200 construction jobs, Bakker said. In trying to draw the second plant to West Virginia, Graney mentioned the state’s lack of a business franchise tax and its right-to-work law that limits the abilities of unions to collect dues. Protesters outside promised to continue to oppose the petrochemical buildout, despite the ongoing $6 billion construction of a cracker facility in Beaver County. They said they plan to protest a possible second cracker plant, which received permit approval to be built in Belmont County, Ohio. Ashley Funk, a community organizer with Mountain Watershed Association, is concerned about negative health impacts. She questioned whether a potential cancer cluster in Washington County is a consequence of fracking in the region. The Pennsylvania Department of Health is currently investigating whether the area has a cluster and looking at possible environmental causes. One of the biggest environmental issues of the day — climate change — came up over and over again at the conference, but industry leaders largely avoided the term, instead talking about carbon capture technologies that they hope would allow them to continue to burn fuel without carbon emissions. Winberg mentioned the DOE’s investments in coal plants that the department hopes will generate zero emissions after the carbon burned is captured. Winberg said the DOE supports giving money to private companies that can remove excess carbon dioxide from the air. “So then once we go there, then there is no reason you can’t continue to use fossil energy along with coal and wind and hydro and nuclear,” he said. The natural gas boom in the region is not only about energy now. It’s also about plastics and chemical production. And what happens to those materials down the line. 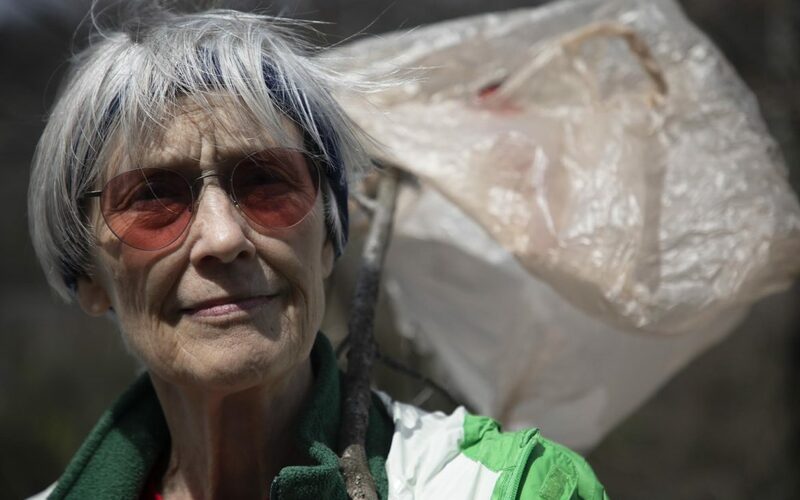 Bev Reed, a protester from Belmont County in Ohio, is concerned about the harm caused by plastics after they’re thrown away.